How to Apply as Refugee in Canada? Cast aside the decision and set a substitute that, with respect to its opinion, should have been made. They then refer the issue to the RPD for re-determination, providing the direction it considers appropriate to the RPD. The RAD is separate and independent from the RPD with in the IRB. 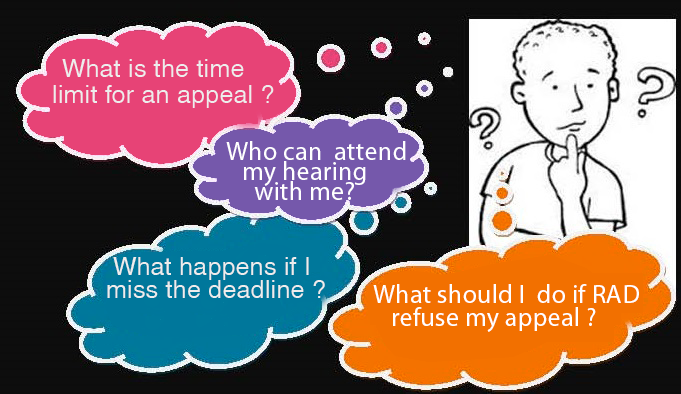 An appeal to the RAD means that you are requesting a higher tribunal RAD to reconsider the decision of a lower tribunal (the RPD). The mistake of the RPD decision must be indicated in the appeal. Those mistakes can be about the facts, the law, or both. The RAD will make its decision with regards confirming or setting aside the RPD decision. It may, at times, refer the case back to the RPD for re-determination, providing the seeming appropriate directions to the RDP. After that, the RAD may give you an opportunity to give new facts that may be absent with the RPD during its decision-making process. If your facts are accepted by the RAD, it will include your new information in its review of your appeal. At many occasions an oral hearing may be initiated to consider these new facts. Who can appeal to RAD? There are experienced counsels in the CIIS who can represent you before the RAD.